The tourist season is still a few months away but it's a great time to start thinking about updating your vacation rental property. It is good time to explore your options to update it to better attract tourists to maximize your revenue generating potential from your property. The most important part of attracting people to rent your vacation home is the first impression. When most people today are using the web and room sharing websites like Airbnb to find a place to rent, people do judge a book by the cover. The web has opened up a wealth of rental opportunities and expanded marketplace but there is also lots of competition now for the renters' dollar. I totally get that you might have some emotional connection with your vacation rental property from seasons spent there in the past, but renters would think otherwise. If you want to have a successful vacation rental property business - you have to be honest with yourself by asking this question yourself - is your vacation rental home in great shape? If not, then you need to seriously consider an update. Let's not get ourselves overwhelmed with what to improve the property - let focus on one room at a time. The living room is where most people typically spend their time in to relax, have a conversation or watch a movie together. In general, the living room should be simple but a comfortable space for anyone. As for the living room design, stay away from themes because it tends to come across cheesy and probably will turn off many potential renters. You want a stylish living room with designer touches. As for which style - think about the reason that people are coming to your area. People often travel to experience what an area is known for. I said to stay away from themes, but that doesn't mean not doing a New England beach cottage vibe if your property is on Cape Cod, MA. People are traveling to your area to experience what is authentically local. Look at other popular vacation rental properties in your area and see what kind of style that attracts people. Use that style in your own way to make it stand out from your competitors. It will help you get more people to rent your property out. Lots of people prefer to cook from their vacation rental to save money or just as a way to bond with family and friends. It is important to think about updating both the kitchen and dining area. If renting out a full home, often a large family group of friends will rent it out to enjoy cooking meals together so you want to make sure your kitchen has a larger counter or island for more prep stations. Here is my designer tip: you want a timeless kitchen design by making it lighter and airy and avoid using dark colors. A kitchen update can be a big investment. Keep in mind that in current times the kitchen is the most important room of the home for both social gatherings and preparing meals. Just like if you were to sell the house, you will see a return on this investment when you rent it out. For the dining area - you want to keep it simple so it would be easier for anyone to clean up after meals. 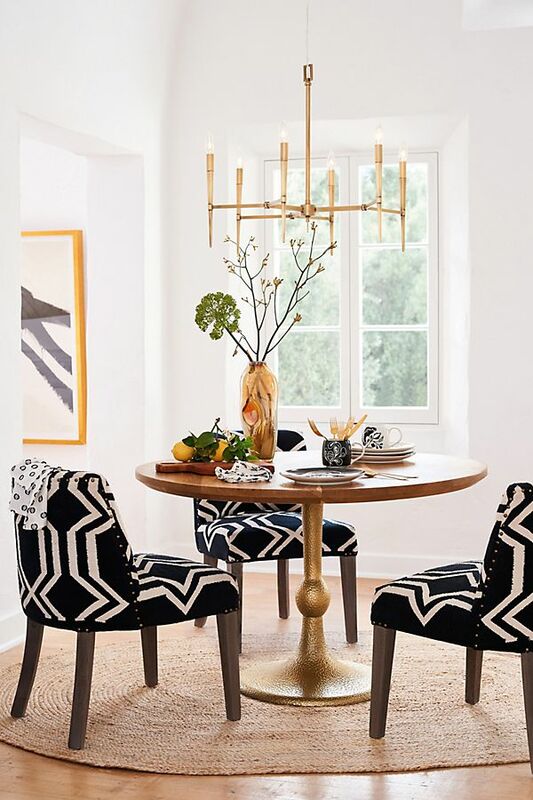 The dining room design should be understated elegance and comfortable since that is where people will take their meals, have a conversation or play a board game together. For the bedroom, obviously a comfortable bed with a quality mattress is a must, but think about making a bedroom a special space; a retreat within a retreat. Some people might want to use your property for a romantic getaway trip as a couple or have an experience like they're staying at a luxury villa. You want to consider investing in decent bedroom furniture to improve the guest experience. And think about making sure the bathrooms are updated as well. Bathrooms are often the second most important rooms after a kitchen and will net a return on your investment as well. The bottom line - when people have a wonderful experience renting out your vacation home - they are more likely to tell their relatives, friends, neighbors, and co-workers about it and give you a positive review. That would be great for your vacation rental property business as it allows you to increase your rental rate. If you're inspired to update your vacation rental home and need design help - you can get started here.